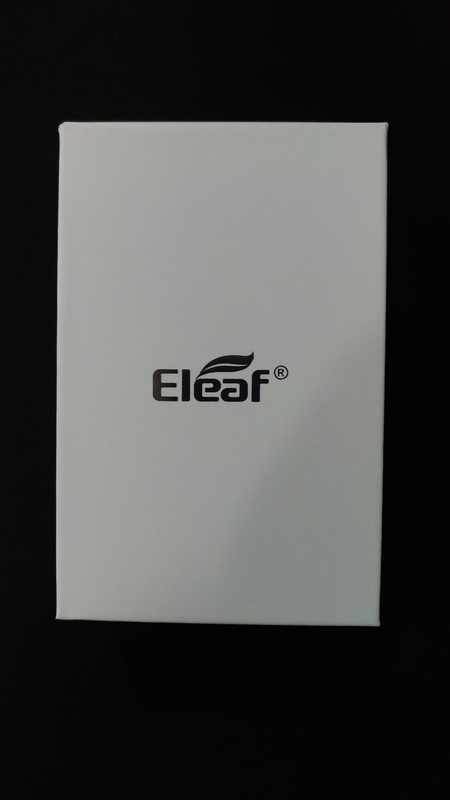 I won this Eleaf Amnis iStick from a contest that was held in ELR Forum. First of all, I want to thank @heaven_gifts for the contest and theprize. However, this will not be clouding my judgement on this review. 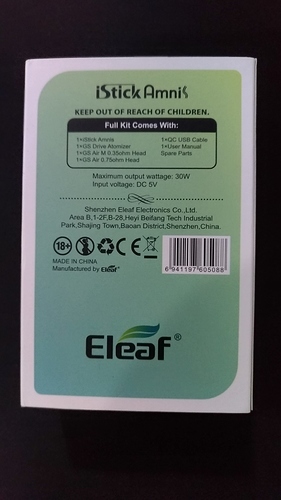 It have a standard packaging for the kit, with the picture of the kit on the front and the content written on the back. There was a plastic seal that said this kit was sent to me as a sample on it, but I ripped it when I open it and threw it away. Sliding out the cardboard cover, you’ll have the box that have Eleaf written on top, and nothing else. Simplicity is sometimes better. I like that. Opening the box, you’ll have the kit sitting on top of two cutouts on foam, one for the mod, one for the tank. Underneath the foam, you’ll find a usb cable, a plastic bag with O rings, a spare coil, 2 spares for the juice hole seal, manuals for the mod and for the tank. The manuals are written in English, French, Danish, Dutch, Japanese, German, Spanish, Russian, Italian, Greek, Polish, Finnish, Swedish, Czech, Romanian and Portuguese. It looks slick, with only a small marking on one side, good spring loaded 510 connector, and a usb connector underneath. Unless something is wrong, the light would only show when you pressed the fire button. Top fill, press and slide to fill. It work great, I like this feature. 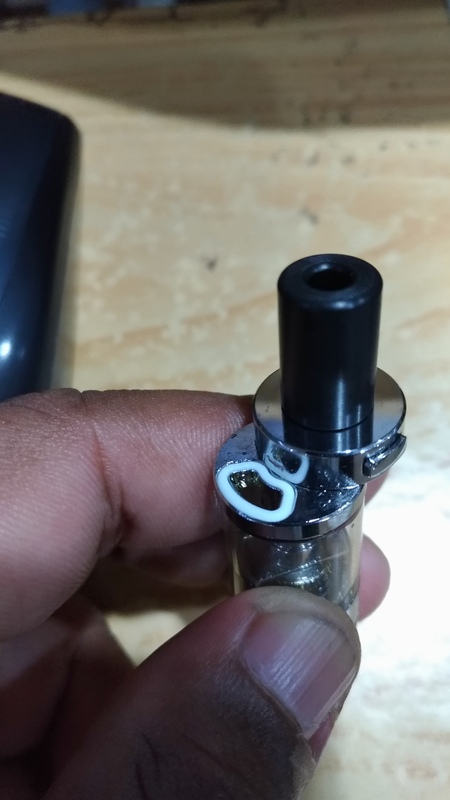 You could take apart the bottom part to change the coil, take off the drip tip, and that’s about it. You couldn’t take apart anything else. The glass is press fit and if you break it, that’s it. 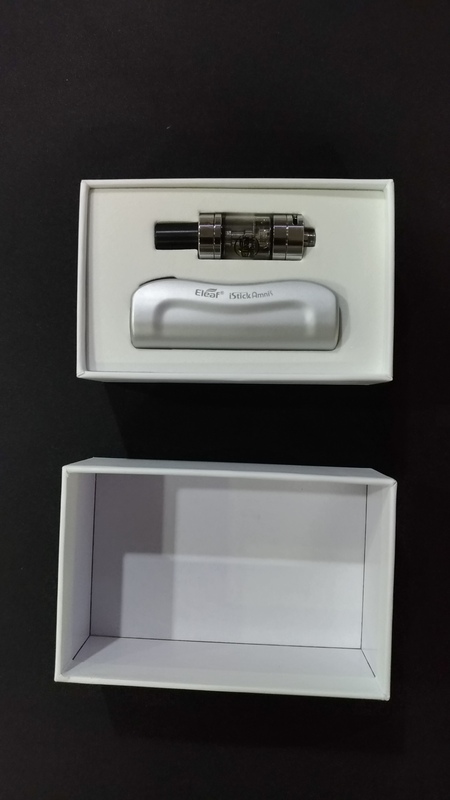 The coils are GS Air M 0,35W which is mesh and GS Air 0,75W made of Kanthal. The GS Air M 0,35W is a mesh coil, already inside the tank. However, the one that I got leaks. Good (not great) flavor when it worked though. Replaced it soon after with the GS Air 0,75W which is kanthal coil. This one, not as good a flavor as the mesh, but it didn’t leak. But the spit back though… Maybe I just don’t know how to vape this thing? During the week that I use this kit, it work as normal as possible. What I mean by that is, aside from the mesh coil leaks, there’s no surprises. It just works. It took about an hour to charge from red light blinking. It’s not bad for a carry around mod, I used it when I rode around on my scooter to and from work, it held up quite a long while. 1 set of O rings spare and 2 juice hole seals spare is definitely great. Great size for a carry around mod, and it’s shaped well. It’s too bad that the mesh coil that I got was faulty. If the light could stay on for at least 3 seconds after I inhale, that would be better. I could check the battery level while I vape. 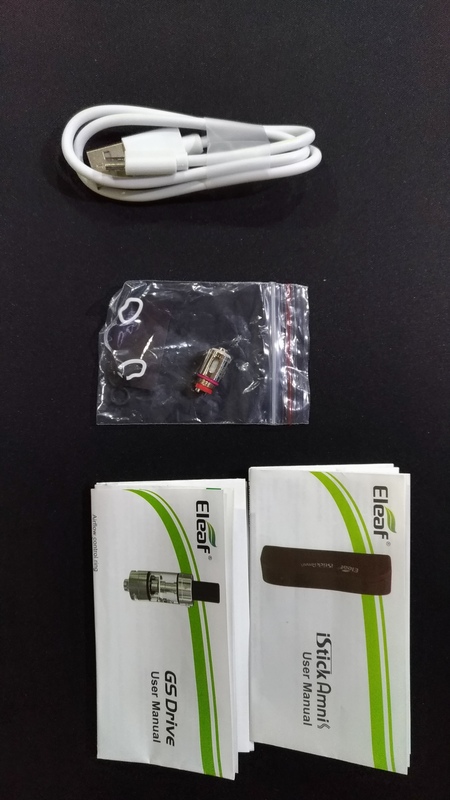 Would I buy this kit if I lost it or it stopped working? Maybe not. But I would recommend it to anyone trying to stop smoking because of it’s ease of use. You could get this kit here https://www.heavengifts.com/product/Eleaf-iStick-Amnis-Kit.html for the listed price of US$41.13. They have a 33% discount right now, lowering the price to US$27.42. Again, I would like to thank @Heaven_Gifts for the contest. And thank you everyone for reading this. Nicely done. Thanks for sharing your thoughts! you’re welcome. Thank you for the comment, man. Very good review. Thanks for sharing Del. Thank you @TheTinMan and @Steampugs ! Thank you for the comments too. You’ve been around for a minute. When did you become a noob? On the review part, I mean. Thank you for the comment, zen. Wow, @delltrapp that was quite a good review. I don’t think I’d ever be in the market for this, but I read your entire review anyway. 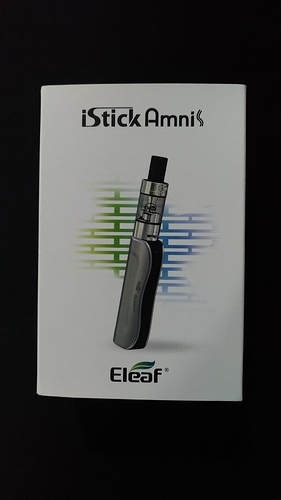 I think you should just change the title to “Eleaf Amnis iStick review by delltrapp”. Better than I could have done brother! You did fine. @delltrapp do you still have the Amnis and if so do you use it? Still use it sometimes. It’s good to use when i’m on my scooter. Have you had issues with the top of the tank falling apart? It didn’t have time to fall apart. It leaks after 3 weeks no matter what coil I put in. 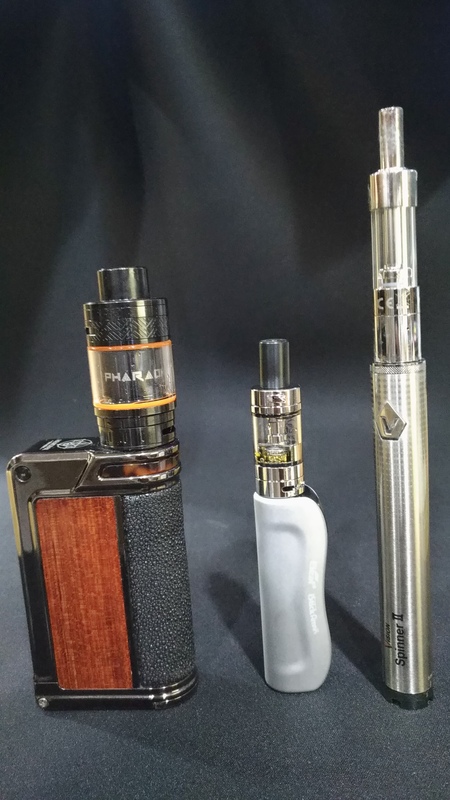 Using a clone mtl tank with high resistance and low wattage coil now. So your not using the tank that came with it but you are using the little mod? I would like to get a hold of that tank if that is possible. Maybe a trade or something? I’m in Indonesia, @Dan_the_Man , the cost of delivery would be more than the price of the gs tank.